Bratislava, for much of its, history was a three-language town. Its citizens spoke Slovak, Hungarian and German. Between 1867 and 1918 Slovakia, Austria and Hungary were parts of the same country, the Austro-Hungarian Empire. 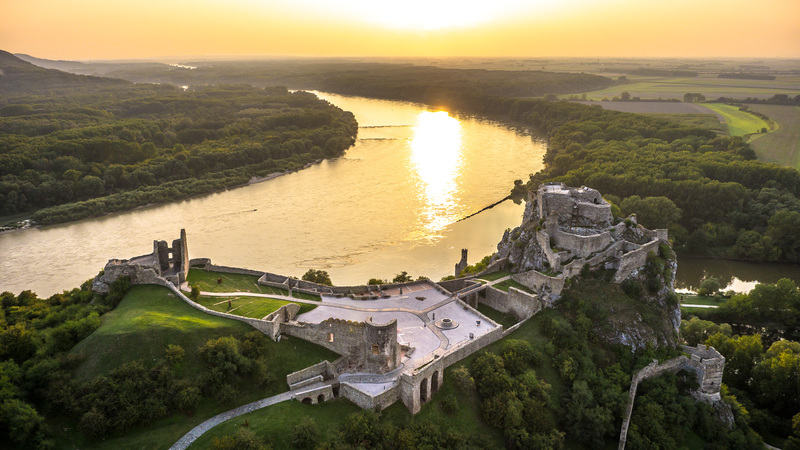 Changing the frontiers of the three countries and weathering two world wars and 40 years of communism has not succeeded in erasing the common heritage that makes the Bratislava of today. Bratislava, for much of its history, was a three-language town. Its citizens spoke Slovak, Hungarian and German. Actually, the current name of the Slovak capital is less then a hundred years old as it only dates back to 1919. Prior to that, the city was known as Pressburg in German, Pozsony in Hungarian and Prešporok in Slovak. Bratislava has always been a very cosmopolitan city. Today, Bratislava offers the best from the region. Take, for example, the cuisine. The traditional cuisine in Bratislava absorbed the influences of both neighbouring countries. An excellent example of this influence is a delightful crescent-shaped pastry “Bratislavský rožok’, with a poppyseed or walnut filling and a glossy, marbled surface. Yum! The complex ancestry of this delicacy is illustrated by the complexity of awarding the TSG label (Traditional Specialities Guaranteed), a quality scheme for traditional food products established by the EU. The certification process lasted nearly five years with both Hungary and Austria claimed its their recipe. At the end, visitors of Bratislava can savour a certified ‘Bratislavský rožok’, while in Vienna its name is the Pressburger Kipfel and Pozsonyi kifli in Budapest. Did you know that Bratislava and Vienna are the closest capitals in the world, separated by only 66 kilometres? In the past, the two capitals were connected by a tram line. 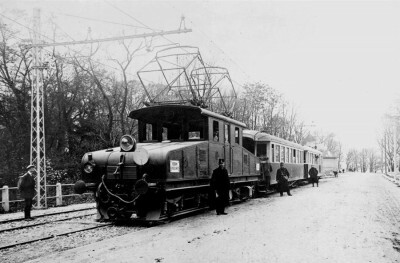 The 70-km long electrified tram route was launched in 1914 and operated until after the Second World War. In 1948 with the rise of the Iron Curtain, the connection closed, becoming a symbol of lost freedom. The Hungarian capital of Budapest is 200 kilometres away; only a two-hour drive from Bratislava. All three capitals are connected by the river Danube (take a boat trip) and frequent bus and train connections. Bratislava’s good public transport system also ensures that wine lovers do not have to hire a designated driver to take them around when exploring the wine cellars of the Slovakia’s Small Carpathian Wine region, or Austria’s Hainburg and Hungary’s Rajka wine regions. Frankovka (Blaufränkisch) red wine produced in Rača wine region had a royal seal of approval, bestowed by the Hungarian queen Maria Theresa in 1767. She was reputedly enchanted by its taste and quality and deemed it suitable to be served at the imperial table. In Devin, you can also find the ‘Triangle Point’ where borders of three countries meet. In the past, this is where a high barbed-wire fence was erected and guard towers along the Slovak-Austrian border made travelling to the West impossible. Today, Triangle Point is accessible by bicycle or on foot via Rusovce, a suburb of Bratislava.